The Panorama Hotel in Naxos Town is well-known, which is famous for its unique view of the sea, Naxos Town and the Castle, is eager to welcome you and to offer you the most carefree vacation in a warm, family environment. 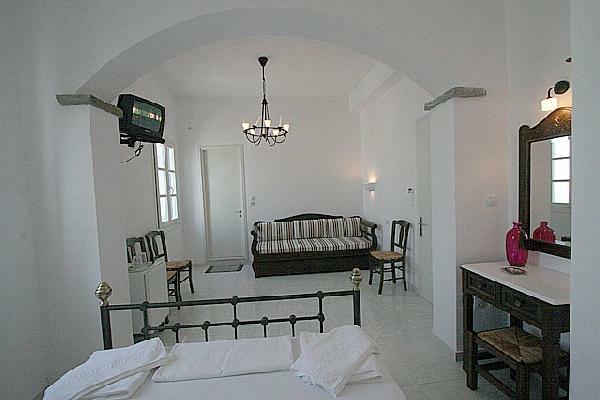 The Panorama Hotel in Naxos is built on the slope of a hill, next to the Venetian Castle, in the heart of the old town. It combines the serenity and the breathtaking view of the Aegean, with the nightlife and entertainment venues that are packed in the traditional narrow alleyways of Naxos Town. This is what makes the Panorama Hotel one of the best Naxos Town hotels. The hotel is situated very close to the Crispi Tower, the Archaeological Museum, the Old Agora, the traditional tavernas, Naxos Port and Grotta Beach, providing guests the opportunity to experience both ancient and present time Naxos. The Panorama Hotel Rooms & Junior Suites in Naxos Town are built according to the traditional architectural style of the Cyclades, with whitewashed walls contrasting with intense pink vokamvilia flowers, and was renovated in 2007. 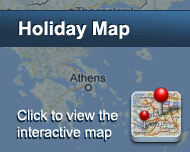 All rooms and junior suites are fully-equipped and offer a stunning view of the Aegean, the Castle and Naxos Town. The management of the Panorma Hotel in Naxos provides guests with organized facilities and services, making their stay pleasant and relaxing in one of the most hospitable Naxos Town hotels. Είστε ιδιοκτήτης ή διευθυντής στο PANORAMA; Εγγραφείτε τώρα για δωρεάν εργαλεία, που μπορείτε να χρησιμοποιήσετε για να βελτιώσετε την καταχώρησή σας και να συνδέσετε την ιστοσελίδα σας και το σύστημα κρατήσεών σας.